The documentary “Keep on, Keepin’ on” portrays beautiful bond between jazz legend Clark Terry and 23-year-old blind pianist Justin Kauflin. CT is known as one of the great jazz trumpeters in history. At the same time, he is a great teacher who transmits the soul of jazz to the next generation. CT teaches Justin not only his passion for jazz but also everything what he has learned in his life as a jazz master. 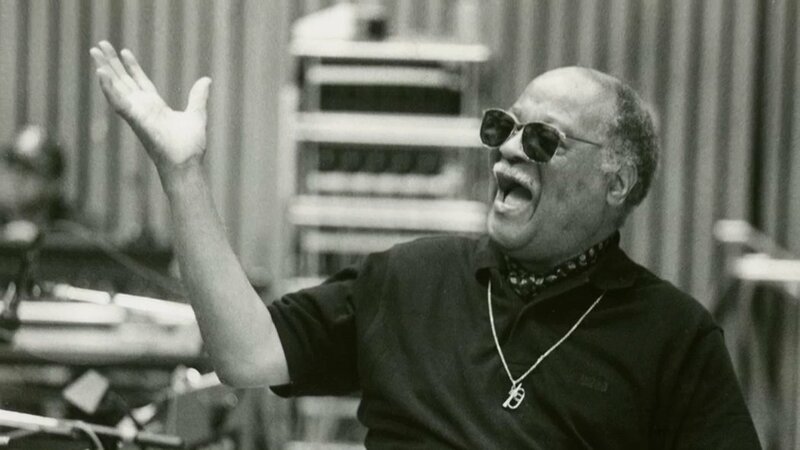 Clark Terry, who passed away in 2015, is the most important figure in jazz history. He was born in 1920 in St. Louis, the birthplace of blues music. He started playing trumpet after he heard the Duke Ellington band. In the documentary, he describes how he created a trumpet with a hose and kerosene funnel by himself when he was 10-year-old boy. He started his career as a professional trumpeter when he was a high school student. He joined the Count Basie band in 1947. After that, he played in Ellington’s band. (http://clarkterry.com/#/biography/) He had a tough time learning jazz by himself because there was no good jazz teacher at that time. However, these experiences lead him to be a pioneer of jazz education. He tells us he has achieved many dreams. The dream he worked on all of his life is helping young musicians make their dreams come true. In the 1950s, he started to lose his eyesight because of the diabetes. He met Justin and helped him to be a jazz master while fighting his disease. One night, Justin asked CT, “What really makes the difference between master and amateur?” CT answered that it is a desire to excel. “Know what your shortcomings are, know what you need to work on and work on it,” he said. Justin learned from CT’s words and practiced lot. Finally, his talent was recognized by Quincy Jones and he joined Quincy’s band. He knows people need someone who believes in their talents to make their dream come true. Many famous jazz musicians including Quincy Jones and Wynton Marsalis who are inspired by CT tell how precious he was as a human being in the documentary. It is hard to achieve many successes in a life. But it is much harder to share what you’ve got with others. CT’s great achievement is his music and also generously sharing his talents to his students. His name and music will remain in jazz history forever.